Spyzie is one of the top spying software programs available for your use. You can take advantage of a Sypzie coupon code to get a great deal on this attractive program. You can get a discount of 40% off of your Spyzie order by choosing your preferred plan and then clicking on the Spyzie coupon code below. Just complete the process at www.spyzie.com. Get 40% OFF on Spyzie Subscription Plans: Ultimate and Premium Edition at Spyzie.com. Spyzie is a popular tracking program that you can use for reviewing anything someone is doing on a mobile device. You can install this onto someone’s device and then use it to track what that person is doing. The program works quietly to see what a person is doing. The program then sends information to your online account. This program works well for parents who need to track their kids, employers who need to see what their employees are doing, and even people looking to see that their spouses are up to. The program tracks everything someone might be doing on a mobile device. This includes information on online usage, phone messages and calls, GPS location and much more. Spyzie performs well on a mobile device by simply tracking things that are happening in real time. Just log onto your account with Spyzie and you will get information on what is happening with a device you installed the program onto. You can track a person’s GPS location, read text messages and emails and review one’s contacts and calendar info. You also have the ability to control apps and programs on the device. Full reports on what is going on with a phone or tablet can also be found on your account. Spyzie works on Android and iOS devices by being easy to install. To start, you would buy Spyzie by selecting from the Premium and Ultimate versions. Each option has its own access features. You will then install Spyzie onto the mobile device you need access to. You will follow a link that you get off of an email after buying Spyzie. Use the URL on the device you are targeting to quickly download and install the program. Activate the program and make sure the links to Spyzie are deleted. The program will then work in the background and will not be easy to access. At this point, you can log onto your Spyzie account on another device to review what is happening on the device you are targeting. This all works with no jailbreaking or rooting needed. What Does It Cost? How can I get Spyzie coupon? The Premium Edition for Android is available for $29.99 per month, $39.99 for three months or $89.99 for a full year. The Ultimate Edition is also available for Android and is good for $39.99 per month, $49.99 for three months or $99.99 for one year. Spyzie is also available for iOS devices for $49.99 per month. After selecting the option you want, click this link to get your Spyzie coupon code to work for you. You will get a 40% discount on your order. Spyzie is a valuable tracking program that you will enjoy reviewing. With Spyzie, you can easily review what is on a mobile device. You can keep tabs on one’s online usage among other things. This is vital for all parents or employers to check out. Get 15% OFF on mSpy Subscription Plans: Basic, Premium, Bundle Kit, Family Kit at mSpy.com. How to redeem mSpy Coupon Codes 2018? The first step is to visit www.mSpy.com. On this site, you can apply for any of the mSpy special offers. As it stands there are three special package offers available at mSpy. The plans are BASIC, PREMIUM and NO-JAILBREAK. Of these the premium plan is the most popular. However, depending on your taste and preference, you can choose 12, 1 or 3 months price plan amongst the latter. Additionally, ensure to choose the one that gives you the best value for your hard-earned money. For the newbies, I would recommend the one-year premium subscription. With the 15% OFF mSpy Coupon offer you will get an exclusive access to all the features of this App at just $14.16/month. The last step is to install the setup. All instructions that you may need for the installation procedure will be sent via your email once payment is received and processed. All set and done, the rest is to sit back and enjoy many years of great convenient services from this trusty and highly functional App. For further instructions on the installation process please watch this video. mSpy app comes with the ability to keep track on an iPhone without jailbreaking; no other spying application features such a capability. Unlike other monitoring programs, mSpy brings aboard a non-limited access license. This simply implies that you don’t have to buy another license in case the target character changes to another device. Know more from my article mSpy Reviews 2018: How Does it Work? Is it Safe and Legit to Use? All in all the choice is between efficiency, flexibility and effectiveness vis-à-vis redundant, unreliable and non – effective spy Apps. Choose the better option; choose mSpy with 15% OFF Coupon Code today. Do you want to spy on iPhone without having to jailbreak it? You might have heard that all iPhone spy apps require you to first jailbreak the iPhone, however that is not true. There are a lot of iPhone spy software out there with which you can spy on iPhone even without having the phone. Is there any harm in Jailbreaking? There are several convincing reasons why you shouldn’t jailbreak an iPhone unless absolutely necessary. Jailbreaking an iPhone renders it vulnerable to external hackers. A jailbroken iPhone is incapable of upgrading, and as such you expose the target iPhone to malware. It might so happen that after jailbreaking the iPhone, you forget to hide the Cydia app, which will signal to the target individual that their iPhone has been compromised. These are all the various reasons because of which you should try to spy on iPhone without jailbreaking it. Now, you might be wondering about the legality and ethicality of spying on someone’s iPhone. Well, I’ll get to that. Is it Legal and/or Ethical to spy on iPhone? If you’re the parent or legal guardian of an underage child you’re allowed to spy on iPhone without their consent. A lot of people frown on this because they believe it leads to distrust. However, if you want to keep your children safe from bad influence, drug abuse, pornographic content, etc, spying on iPhone is your best option. If you’re an employer and you install an iPhone spy software in your employees’ company given phone. This is perfectly allowed because you’re spying on them during company time, when they’re supposed to be working for you, and on the phone you’ve given them. However, you should make sure you have signed contracts and paperwork that assure your legal protection. Spying on employees is sometimes necessary to find out if someone is leaking sensitive trade secrets. This is a rather grey area. However, if you suspect your spouse might be cheating on you, you can spy on iPhone to find out where they’re going after work, who they’re talking to, etc. If your spouse has a drinking problem, you can also use the iPhone spy software to make sure that they’re staying clear of bars and alcohol. Different iPhone spy software come with different set of features, and all of these features help you in different ways. There are some features which are absolutely necessary if you want to spy on iPhone, and there are some features you only use for specific purposes. Below I’m listing out some of the essential features so you know you have to look out for them. SMS/ MMS Logs: Your iPhone spy software should be able to give you detailed SMS and MMS logs because that’s one of the prime means of communication between people. Call Logs: This feature helps you identify who the target individual is talking to, for how long, and when. GPS Tracking: This feature helps you keep track of where the target individual is at any given time of the day. It’s the most important feature in tracking someone’s physical movements. Social Media Tracking: Social Media is every bit as important as real life these days, and as such tracking someone’s social media activity gives you a good idea of what’s happening in their lives. This is especially important in the case of children because they can often be victims of catfishing, cyber bullying, online scams, etc, and you can protect them by monitoring their social media accounts. Internet Browser History: You can find out everything about a person from their browser history. This is especially useful for children, if you want to protect them from violent or pornographic content. These are by no means a complete list of ALL the important features with which to spy on iPhone. These are merely the essentials that you need. You need to also look out for the special features in different iPhone spy softwares. Having said that, you can now read on to find out about the 5 best iPhone spy apps to spy on iPhone without jailbreak. mSpy is one of the best iPhone spy software in the market. Not only is it the best, but it’s also the most reliable means by which to spy on iPhone. That’s important because the act of spying on iPhone is a delicate matter and you shouldn’t risk a source that could very well get you into trouble. mSpy can be trusted as they’re a global name, and they have a lot of great reviews and their iPhone spy software is used by millions of people all over the world. If you want to know how to spy on someone’s iPhone using mSpy, you need to simply follow these 3 main steps – Buying, Installing, and Spying. There are three different mSpy packages available – Basic, Premium, and Bundle Kit. Basic offers only the most essential features. Premium offers all the advanced features, and Bundle Kit offers you the capacity to spy on 3 iPhones at the same time. You can use the 15% OFF mSpy coupon below. Once, you’ve chosen everything, you need to make the payment through an online gateway. 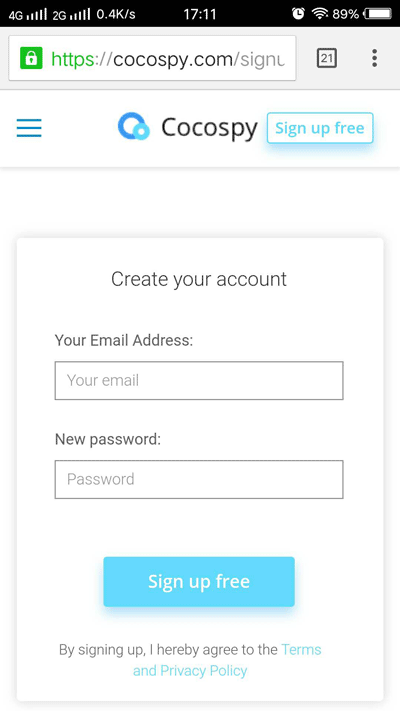 After the payment has been processed, mSpy will send you two different eMails, one of them welcoming you to the mSpy family, and the other giving you your login details for the control panel. Log into the control panel with the details provided in the eMail. You’ll have two options now – Jailbreak mode, and Non-Jailbreak mode. Since we want to spy on iPhone without jailbreak, we’ll ignore the jailbreak mode. To spy on iPhone without jailbreak, you need to have access to the target individual’s Apple ID and Password. After you enter the target individual’s iCloud details, you’ll be able to access your control panel. Now you can navigate around the control panel, accessing the target individuals iPhone. You can use the control panel to spy on iPhone. mSpy comes with several powerful features with which you can spy on iPhone. The non-jailbreak version of mSpy only gives you access to limited features, however, even those are quite powerful. Intercept Text Messages: You can gain complete access to the target iPhone’s SMS and MMS logs. As such you can check out the messages sent, received, or deleted from the iPhone. You gain access to all of this information along with the date and time stamp, and information about the recipient contact. Access to Calendar, Notes, etc. Blocking apps, websites, contacts, or incoming calls. Access to Social Media and Instant Messaging apps such as Snapchat, Viber, Skype, Facebook Messenger, etc. Ability to delete data from the target phone. Geo-Fencing. Intercept Text Messages and MMS. Keylogging. Call History & Contact List. Apps and Webpage blocking. Website History. Blocking incoming calls. Access to Calendar, Notes, & Task. Wiping the data off the device remotely. Access to Installed Apps. Accessing social media and instant messaging accounts like Snapchat, Viber, Skype, etc. Find out about all the Wi-Fi networks the device connects to. Setting keyword alerts so you can be instantly notified when a certain keyword or phrase is used. Access to WhatsApp. Emails access. Intercept iMessage communication on iOS. Receive notification whenever the SIM card changes. Is mSpy iPhone Monitoring App Discrete? mSpy is a completely reliable app so you don’t need to worry about being caught. Furthermore, since you are using a non-jailbreak option, you don’t have to either access the target phone physically or install anything in it. As such, the target individual has no way of knowing that they’re being spied on. mSpy is a compatible with all non-jailbroken iPhones, as long as you have the iCloud credentials. mSpy is one of the most reasonable and flexible apps in the market in relation to the number of features it offers. As we mentioned earlier, mSpy is available in three different packages – Basic, Premium, and Bundle – for a period of 1 month, 3 months, or 12 months. As such, mSpy is quite flexible. However, you should know that almost all the non-jailbroken features are available in the Basic package. The only non-jailbroken feature available in the Premium package (and not in Basic) is the ability to track WhatsApp messages. As such, if it’s important for you to spy on iPhone WhatsApp messages you should get the Premium package, otherwise the Basic package is enough. Get 15% OFF mSpy coupon here. Amazing 24/7 customer support available for live chat, phone calls, etc. Can monitor up to 3 devices. You need access to iCloud credentials to spy on iPhone without jailbreak. Spyzie is an intriguing program that helps you to work on an iPhone with ease. You can quickly get Spyzie loaded onto an iOS device without having to worry about jailbreaking a phone. Spyzie is noteworthy for its iPhone monitoring features including its ability to block particular apps from being accessed. You can use schedule restriction features to keep your kids from using a device at a certain time as well. It is also popular for being capable of identifying one’s GPS location. But there are many extra things to see when looking at what makes Spyzie special. How to spy on iPhone without installing software? Create an account with Spyzie. Enter in the name of the person that you are going to reach one’s phone with. Verify the iCloud ID that a person has on that phone. Get the iCloud program to start working on the target device. This should not require physical access to the phone if you can use it right. You would have to physically use the phone to install Spyzie and start operating it yourself in the event that you cannot get access to the iCloud setup. Access the control panel and get information on the phone based on what the iCloud data reviews. This should work well with helping you to track what a person is doing online. Get the call log on a phone. You can review the call history on one’s device with ease. Check the text messages that one has eft on one’s iPhone through the program. Check on the browsing history of the target device when using Spyzie. Get information on what apps one uses. This includes how long someone uses these apps for and when they are opened. Check the calendar to see what one is doing on a phone. Get connected to a WhatsApp account while also reviewing photos from third-party apps. Spyzie is a fully private iOS monitoring app that will not be tracked on the user’s phone. You can quickly get access to a person’s phone with ease when you use Spyzie. Spyzie works on iPhones that use iOS 10.0.0 or greater. How much does Spyzie cost? Spyzie for iPhone use is available for $49.99 per month. You can get it for $39.99 during the first month. iKeyMonitor is a great iPhone spy software known for its user-friendly website design and interface. It once used to be a very clunky designed website, but in recent time they have really upgraded it into top notch standards. While it isn’t the best iPhone spy software in the market, it’s definitely the most improved in the shortest time. In addition to the great user interface, this iPhone spy software is also rich in features, accessible without having to jailbreak the target phone. The NO-jailbreak version of the app works for both jailbroken and non-jailbroken iPhones, however you need access to the target iPhone’s Apple ID and password, and you need to ensure that their 2-factor authentication feature isn’t enables. Furthermore, when it comes to spying on iPhone messages, the no-jailbreak version will only give you access to the following languages: EN, DE, FR, IT, RU, ES, and PT. For all other languages, you’ll have to use a jailbroken version. In addition to the fact that it’s a no-jailbreak solution, it’s also convenient for a number of other reasons. They offer a demo so that you can check out the control panel before actually purchasing it. They also offer a 3-day trial period so you know exactly what you’re getting into, and in case you don’t like the app even after purchasing it, there’s a 30-day money back guarantee. You need to follow these given steps to spy on iPhone using iKeyMonitor. iKeyMonitor doesn’t offer a lot of options in terms of packages. You only get one package for a monthly or yearly license. The latter of these is about 50% cheaper. Once you decide which of these options you want, you need to make the payment online. Next, you need to create an account with iKeyMonitor and log into it. Once your payment is processed, you’ll be able to access your control panel through your free online account. You’ll get the option to either use the jailbroken or non-jailbroken version. Choose the non-jailbroken version, and enter the iCloud credentials for the target iPhone. You’ll now gain access to your personalized control panel, which will be like a window to the target iPhone. You can check out all the data in it, and spy on iPhone based on the features available in the no-jailbreak version. Now I’ll give you a highlight of all the features available to you in the no-jailbreak version. I’ll also list out all the features you are missing out on as a result of not jailbreaking the target iPhone. Check out all SMS and MMS logs. You can track all the sent, received, or deleted messages, along with their date-time stamps and the contact of the recipient. Spy on all call logs to find out who the target individual is talking to, when, and for how long. Track the target individual’s GPS location so you get live updates on where they are at all times. Check the internet browser history. You gain complete access to the chat history in the following instant messaging/ social media apps – WhatsApp, WeChat, Viber, Tinder, Line, and QQ. Spy on iPhone gallery, calendars, notes, etc. Access to the contact list as well in case you want to find out who the target individual is in contact with. As you can see, iKeyMonitor offers a more diverse set of features even in the no-jailbreak version, as opposed to mSpy. And it also gives you access to a larger number of social media accounts. Ambient listening, with which you can use the iPhone microphone as a listening device to hear what’s happening in the surroundings. The ability to secretly capture photo, video, chat, and website screenshots to find out what the target individual is doing in their phone at the given moment. Keylogging, with which you gain access to all the buttons being pressed in the target phone, with which you can determine all the passwords. Access to social media apps such as Facebook Messenger, Skype, KiK, Hangouts, Snapchat, and Instagram. Ability to block certain apps. Ability to send out eMails from the target iPhone account. Using iKeymonitor to spy on someone’s iPhone, you do NOT need to access the target phone at all. And iKeyMonitor is completely discreet regardless of whether you use the jailbreak or non-jailbreak version. However, if you use the non-jailbreak version there’s nothing to worry about because you’re not physically accessing the target device or installing anything into it. As such, there’s no way the individual would find out. You can use the no-jailbreak solution with iOS versions 9 and above, along with the iCloud ID and Password. How much does iKeyMonitor cost? A lot of powerful features in the no-jailbreak option. The no-jailbreak option requires you to have the iCloud credentials, and for the 2-factor authentication to be disabled. In the previous methods, I showed you how to spy on iPhone without jailbreak. However, as you might have noticed, the no-jailbreak solution blocks you from several very powerful tools with which to spy on iPhone. In this part I’ll show you how to spy on an iPhone through the jailbreak solution, using FlexiSPY. FlexiSPY is perhaps the most powerful amongst all the iPhone spy software in the industry. It’s also the most expensive iPhone spy software in the market, however, that is well worth it considering the professional high-tech spy features it gives you access to. If you’re willing to jailbreak an iPhone, FlexiSPY can perform such intense functions as giving you the opportunity to intercept calls, record them live, crack passwords, and many more. If you find that the previous solutions aren’t enough to spy on iPhone, you need to give FlexiSPY a shot. How to spy on someone’s iPhone using FlexiSPY? Like with mSpy, I’m breaking down the whole process of how to spy on an iPhone with FlexiSPY into three parts – Buying, Installing, and Spying. FlexiSPY is available in two packages – Premium, and Extreme. There’s no ‘Basic’ package because even the lower end FlexiSPY can offer you some high end features to spy on iPhone. I’ll get into the difference in features between the Premium and Extreme packages later. You can get these packages for a period of 1 month, 3 months, or 12 months. Once you’ve decided which package you want, and for how long, you can make the payment online. Post payment processing, you’ll get the login details for your online control panel. Once you access that, you’ll receive detailed instructions on how to jailbreak an iPhone, and how to install this app in the iPhone. Download the app into the target iPhone, jailbreak it, and install. To do this, you might need help, so you can engage in a live chat with the 24/7 customer support, and they’ll walk you through the whole process. Once FlexiSPY has been involved, you need to remember to hide it. This is important if you don’t hide either the FlexiSPY app icon, or the jailbreak evidence, the target individual will find out he’s being spied on. As such, you need to hide the Cydia app so that you can spy on iPhone easily without being detected. Once you’ve hidden Cydia, you need to make sure that the iPhone is connected to a secure and stable internet server. This is necessary because the data from the iPhone will be transmitted to your online control panel via the internet. Finally, you can simply log into your control panel, and gain access to all the information in the target iPhone. You can spy on iPhone based on any feature you want. Since this is a jailbreak version, you have no limits on the features you gain access to. Below, I’ll give you a detailed outline of the special features you gain with the Extreme Package of FlexiSPY, and the features you have access to with the Premium Package. This is an extremely powerful feature not available in any other iPhone spy software. With this feature, you can be added to an ongoing phone call as a silent third-party participant. As such, you can listen to everything that’s being discussed in the phone call live, without fear that they’ll hear you. If you’re too busy to listen to an entire conversation live, you can also choose to have FlexiSPY record the entire conversation. As such, you can later go through it all at your own time. All the call recordings will be stored in your control panel from which they can easily be downloaded on to your computer as well. However, you should be careful while doing this as phone tapping is illegal in a lot of states and countries. You can use the target phone’s camera to take pictures secretly. This will help you determine what the target individual’s immediate surrounding is like. If they’re talking to someone, you might even get to see their face. You can activate the iPhone’s microphone and use it as a bug. As such, you’ll be able to listen in on all of the target individual’s conversations live. You can send out fake SMS from the target phone to anyone in the contacts. As such, you can pretend to be that person and gain information you need. This isn’t a feature of FlexiSPY itself, rather it’s a separate software you get along with FlexiSPY Extreme package for free. Usually most iPhone spy softwares require you to use the keylogging feature to determine all the keyless being pressed in the target phone and decipher the password. Password Cracker does all the work for you. It finds out the password for all their accounts and you can use it to spy on iPhone completely. Keylogging feature, with which you get a complete log of all the buttons being pressed in the target phone. You can then use that information to find out their passwords. GPS location tracking with which you get real-time updates about where the target individual is at any given time. You also get a complete route history along with date and time stamp. Geo-fencing, with which you can establish a parameter, and if the target individual moves beyond that you receive a notification. Access to the iPhone gallery and media files. Ability to spy on iPhone social media accounts such as WhatsApp, Facebook Messenger, Skype, LINE, Tinder, Instagram, Viber, WeChat, iMessage, Yahoo Messenger, and Hangouts. Access to all eMail accounts. Track complete internet browser history. Check all installed applications in the iPhone. View a list of contacts, calendar, notes, etc. FlexiSPY is the most discrete and invisible iPhone spy software. After you install FlexiSPY into the target phone, you can hide the FlexiSPY icon. Furthermore, there’s a feature with which you can also hide the cydia icon so no one finds out their iPhone has been jailbroken. Furthermore, the entire app runs silently in the background and it’s so well hidden that even if the individual installs a sweeper app, it won’t detect FlexiSPY. FlexiSPY is highly compatible and it can work with all iOS devices till version 9.1. How much does FlexiSPY cost? FlexiSPY is the most exclusive and premium iPhone spy software in the market. As such, it’s quite a lot more expensive than all other similar apps. It comes in only two packages Premium and Extreme, and both of them have great features. The Premium package is available for license periods of 1, 3, or 12 months, for $68, $99, or $149 respectively. The Extreme package is available for license periods of 3 or 12 months, for $199 or $349 respectively. Can only monitor 1 device at a time. No bundle package available. If you’re curious enough about this iPhone spy software to find out more about it, you can read my detailed FlexiSPY review. In the previous parts I’ve given you a detailed account of the three best apps with which to spy on iPhone – mSpy, iKeyMonitor, and FlexiSPY. I’ve given you a detailed introduction to these apps, along with a guide on how to spy on an iPhone using these apps, and a list of features available in these apps both for no-jailbreak and jailbreak options. Making a decision can be quite difficult, especially when all the information is so scattered. As such, below I’ve made two tables to help clarify and compare these apps. In Table 1, you’ll find a comparison of these apps based on their specifications and primary features. In Table 2, you’ll find a comparison of these apps based on the pricing for different packages across different license periods. Features (no-jailbreak) SMS MMS and Call logging, Browser History, Contact List, Calendar Access, WhatsApp and iMessage logs GPS tracking, SMS and MMS reviews, calendar access, messaging program checks SMS MMS and Call logging, Browser History, Contact List, Calendar Access, Location Tracking, Limited Instant Messaging Chats Tracking (WhatsApp, WeChat, Viber, Tinder, Line, QQ) Only Jailbreak Options available. Cocospy is a tracking and monitoring application offering top quality in spying iPhones. The application offers the users with a range of features to monitor calls, text messages (+iMessage), internet messaging services, photos and videos etc. Why is it important to monitor iPhone text messages/iMessages? Children are widely spread to iPhones and iPads from a very young age, making it crucial for parents to monitor their online and offline activities. Today, children in their teens are more inclined to send text messages rather than call. Parents are tasked with keeping their children safe from cyberbullying and harassment hence the need for Cocospy monitoring application. Notwithstanding, spouses who are suspicious of their better half can use Cocospy to spy on their husbands/wife text messages. However, if it isn’t necessary to spy on your spouse, keep off the application. Cocospy will allow users to monitor their spouse’s text messages and iMessages to quell dishonesty in relationships. Features available on Cocospy iOS non-jailbreak solution. Cocospy allows its users to access and track chats on internet messaging sites such as WhatsApp messages and LINE. The app also enables the user to track the calls made to the iOS device in real time. Cocospy ensures total stealth while spying on an iOS device to retrieve the call history and call logs. This feature is important as it allows you to monitor the applications added to the target phone. Parents are able to monitor any installed and uninstalled app. The feature will also allow the parent to block installation of the application if necessary. Cocospy will also alert you on any added iOS applications in real time. One of the biggest reasons to own a monitoring app is to keep tabs and locate the targeted device. Parents will find the application even more useful as it locates the child’s iPhone in real time. Employers and doubtful spouses can also use the application to track the GPS location of their spouse or employee respectively. Cocospy alerts you once any change or uploads are made on the iCloud of the targeted device. This allows quick surveillance on the photos, music, notes, videos or GIFs added on the mobile phone. The increasing need to monitor the multimedia, especially for children, bonds well with Cocospy’s features. Cocospy is available on iOS and Android supported devices. The iOS version of Cocospy is available for both the jailbroken devices and no-jailbreak devices. The monitoring application will allow you to spy on someone’s iPhone for free whether the device is jailbroken or not. Before starting to spy on an iPhone, make sure you configure the iCloud backup on the target phone. Once the iCloud is configured you can now go to your device to start tracking. Create a Cocospy account. Enter your email and password then click ‘sign up free’. Once signed up, insert the Apple ID credentials of the monitored phone. The application will start backing up the data from the monitored phone. Wait for back up to complete as it may take up to 24 hours. Once back-up is complete, you can start tracking and monitoring. The details of the messages and chats will be displayed on the dashboard on the control panel of your Cocospy account. What else can Cocospy iPhone Spyware do? Cocospy also offers a range of Cocospy features apart from spying test messages on iPhones without jailbreak. The tracking application offers a variety of features for iPhones and iPads. The list below shows the spying features of Cocospy on an iPhone. Cocospy offers one of the best solutions to monitoring activities on an iPhone. The application is user-friendly and is an easily accessible spyware for both the jailbroken iOS devices and devices without jailbreak. For someone who doesn’t want to jailbreak the target iPhone/iPad to spy on it, Cocospy is best solutions. The application allows users to spy on the iCloud service and view the texts, calls, phonebook, multimedia files, planned events and IM messages. Register a free account on the Cocospy and start to freely spy on iPhones text messages without jailbreak. In this given article I’ve provided you with 4 de on how to spy on iPhone with or without jailbreak using the apps – mSpy, Spyzie, iKeyMonitor, and FlexiSPY. mSpy and iKeyMonitor are the best iPhone spy softwares in the market when it comes to spying on an iPhone without jailbreak. Both of these apps have their respective pros and cons. mSpy is the most reliable app in the industry. However, iKeyMonitor offers a much more diverse set of features in its no-jailbreak solution. For example, mSpy doesn’t give you access to location tracking, or instant messaging apps such as Viber, Tinder, etc. As such, if these features are important to you, you should get iKeyMonitor, otherwise mSpy which is cheaper. Spyzie is great if you want something with a simple interface. This does well with managing many different messaging apps and calendar reports, thus giving you extra help for identifying anything someone is doing. You don’t even have to access a physical phone to make it work provided that you have access to the iCloud system. The final solution – FlexiSPY – isn’t a no-jailbreak solution. In fact, for FlexiSPY jailbreaking an iPhone is necessary. However, it’s also the most powerful app in the market and as such I’ve given a detailed outline about it as well. If you’re willing to try out jailbreaking, you should use this app. It may be expensive, however it gives you access to the most intense spy features, such as the ability to record phone calls, intercept calls, or crack passwords. Whatever you decide to go with, you should do so within ethical and legal boundaries. For example, phone tapping is illegal in a lot of different countries and states. You should be aware of your state’s laws in relation to spying and monitoring. Don’t do anything you might regret. Before I start with this article, I think it’s important to clarify what an Android Keylogger is. A Keylogger, for those who don’t know, is a crucial spy app tool. A keylogger Android is a tool with which you can find out all the buttons being pressed in a target device. As such, if you have a keylogger for Android, you can determine all the passwords for someone’s phone. You can find out their Facebook passwords, Twitter, etc. Basically, an Android keylogger can help you hack anyone at all. Now that we know what a keylogger Android is, let’s address who it’s for. A keylogger Android tool is a must for you if you intend on spying on anyone – your husband, kids, anyone. You may want to find out their passwords for a number of reasons. Your kids may be hiding secrets from you. They may be getting cyberbullied. For that, you’ll need a keylogger spy app to go through their social media accounts. I’m an experienced individual in the spy industry. As such, I have spent my whole working life finding out about the best Android keylogger tools out there. There are so many options in the market that choosing the right keylogger app for Android may be difficult. That’s why I’ve created a list of the best keylogger for Android apps. So, what are you waiting for? Read on and hack your way through life! For the sake of convenience, I’ve broken down my list of top 11 keyloggers for Android into two parts. In the first part, I’ll give you a detailed account of the top 3 keyloggers. These should be enough to give you a good idea about what you need. However, in case you’re still confused, I’ve also listed out 8 other keylogger apps that you can choose from. Furthermore, I’ve also created these tables here in case you’re too busy to read through the entire article in detail. Keylogging, Social Media tracking, GPS tracking, etc. Keylogging, Social Media tracking, Call Recording and SMS Logging, etc. Keylogging, Social Media tracking, Call Recording, etc. Now you know about the three best keylogger apps for Android. The following are the remaining seven that aren’t the best, but are still effective keylogger apps in their own rights. Now, without further ado, read on to learn the details about all the best keylogger Android apps in the industry! mSpy is the most celebrated Android keylogger app in the market, and for good reason too. It has been acclaimed and celebrated by institutions such as Forbes, New York Times, CNET, Washington Post, etc. As such, it’s the most reliable keylogger for Android in the market. When you’re planning in spying on someone, it’s important that you use a well-known and reputed app. Furthermore, mSpy keylogger also has a lot of great features that makes it one of the most powerful keylogger apps, at a very reasonable cost. As already explained, keylogging is the feature with which you can find out all the buttons that your target individual is pressing on his Android Once you have that information you can figure out their passwords, and gain complete access to their phone! As already stated, once you have access to the passwords of a target individual, you have access to all their accounts. You can access their Facebook, Tinder, Twitter, Instagram, etc. As such you can find out all the messages they are exchanging with people and you can access their profiles. This is an important tool if you have kids. With this feature, you get real-time updates of where your kids are at any given point of time. You get live updates on your control panel. mSpy has an incredibly reliable and useful support system. You can contact the support through a 24/7 chat, through a ticket system, or you can even talk to them over the phone for $12.99 per hour. You can even avail of the mAssistance service for $43.99 if you want the professionals to install the app and root the Android for you. After you install mSpy, you get an option to hide the icon from the window so that no one finds out the app has been installed into the phone. So, mSpy is also a undetectable keylogger for Android. There are three mSpy packages – Basic, Premium, and Family Kit. Basic doesn’t function as an Android keylogger. Hence, you need to purchase either the Premium or the Family Kit package. Both of them work as keyloggers, and both of them offer all the features. However, if you’d like to monitor up to 3 people together, you should get the Family Kit as it offers the ability to track three devices at the same time. Spyzie is an exciting program to use for your keylogging needs. It is rather affordable and easy to install onto someone’s Android device. This works without a need to hack or jailbreak into someone’s phone. Android keylogger. You can use Spyzie to keep tabs on the different messages one is writing at a given time. Review call logs. Use Spyzie to analyze details on the most common contracts that a person has with the program. Track GPS location. The GPS tracker feature lets you take a look at where someone is in real time based on GPS data. View photos. You can review photos of all sorts with Spyzie including ones taken on Instagram. Browser history. Take a look at where someone has gone while online. Texts and notes. All types of personal messages that one might record can be reviewed through Spyzie. Sign up free on Spyzie. Use the instructions from Spyzie to install the program on the target device. Make sure you select the appropriate operating system when getting this ready. Go to the settings menu on the device. Click on the Security option and choose to allow for the device to take in installations of items from places outside of the Play Store. Active the device administrator on Spyzie and then click the proper icon to start monitoring a device. The program will then delete the icon on the phone and then start monitoring in the background. After this, you can quickly review what is happening on the device by using the Spyzie program on your phone. Spyzie works on Android 4.0 or higher devices. You will have to get the Ultimate Edition of Spyzie to use it for keylogging an Android device. It costs $39.99 for a one-month license, $49.99 for three months of access or $99.99 for one year. You can try the live demo before using it as well. Hoverwatch offers one of the best free Android keylogger apps in the market if you get a license for the regular Hoverwatch app as well. It’s great because of how cheap and reliable it is. It doesn’t have the kind of brand recognition that mSpy has. It hasn’t been sponsored by large international institutions yet because of how young it is. However, it deserves to be on this list because of how powerful and convenient it is at a very reasonable price. In fact, it’s probably one of the cheapest keylogger Android apps in the market! Free Android Keylogger: With Hoverwatch, you also get access to a free Keylogger for Android with which you can watch over your children or your staff members. You can use it to access all of their social media such as Facebook, Viber, etc. All you have to do is sign up, then install the keylogger, and monitor the target accounts remotely! Social Media Monitoring: Using the information from the free keylogger for Android app, you can track all social media accounts such as Facebook, Viber, Snapchat, etc. Call Recording: You can remotely and secretly record all the calls coming in and going out of the phone. The recordings are then made available to you at your own control panel. You have the option to download the call recordings into your computer or access them online. Demo: You can access a demo of the interface so you know what you’re getting into. Free Invisible Keylogger for Android: While installing the app into the target phone, click on the option that says “Activate an invisible mode on the device.” This will make the app completely impossible to find in the target phone. After you’re done, you’ll be provided with a PIN number you’ll need if you want to access the app in the target phone again. Hoverwatch is extremely reasonable and it gives you the option of getting the “Personal” or the “Family” package. Both of them come with a full set of features. The Personal package can only monitor one device, and the Family package can monitor as many as 5 devices. You should use the latter if you’re an employer looking to monitor several employees, or if you’re a parent with several kids. With the Family package, you can save as much as 60% on every device. You can get the two packages for 1 month, 3 months, or 12 months. iKeyMonitor hails itself as the best keylogger Android app for parental and employee monitoring. Luckily, that self-proclamation does hold up under scrutiny in this case. iKeyMonitor doesn’t have the most attractive website. It looks clunky and quite frankly ugly. It might even give you the impression that iKeyMonitor might be an amateur app. It’s nowhere near as sleek as the websites for some other Android keylogger apps such as mSpy or FlexiSPY. However, do not underestimate iKeyMonitor because it brings great value for a very reasonable cost. In addition to that, it’s also reliable, having been sponsored by DailyMail and TNW. Keylogging: iKeyMonitor stores up all the data regarding the keystrokes and passwords and even pasted texts in a clipboard. So you can always find out what the target individual is typing. As such you can find out all their messages, and better yet, you can also find out about their passwords! Access Social Media: Since you have access to all the passwords thanks to the keylogger tool, you can access apps such as Hangouts, Instagram, Kik, Viber, Facebook, Skype, Snapchat, or all other social media as well. You can even access their eMails. SMS and Call Logs: This is a fairly common feature in all spy and keylogger Android You can view all messages sent and received, and you even get call logs. However, iKeyMonitor also records the calls so you can hear them later or use them as evidence. Demo: They offer a free online demo so you know what the interface is like before purchasing it. Android keylogger possible without root: You don’t have to root the target Android if you want to use the keylogger for the following languages – EN, DE, FR, IT, RU, ES, and PT. However, if you want to use keylogger Android for any other language, then you’ll need to perform a rooting. Invisible: iKeyMonitor works entirely in the background so that the target Android user will not become aware of the fact that they are being spied on. The app hides on start-up itself, it’s hidden from settings as well, and it also hides any rooting information. The great thing about iKeyMonitor in terms of price packaging is that it doesn’t overwhelm you with options. There’s only one package, including all features, which is available for 1 month or 12 months. FlexiSpy is undoubtedly one of the most powerful keylogger Android apps in the market. However, the reason it doesn’t make it into the top 3 is that it’s also the most expensive of all the other keylogger Android apps. However, its features are powerful and it’s seriously reliable as I mentioned in the FlexiSPY review. If you’re looking for additional features beyond keylogging, and if you want the most powerful app in the market, FlexiSPY is the one for you. Keylogging: FlexiSPY has a keylogger that can record all the buttons being typed in the target phone. With this feature, you can gain access to all your kid’s social media accounts, find out what your employees are up to, and collect evidence for legal purposes. Call Interception: With this feature, you can listen into conversations as they’re happening. You can be added as a third party into a conversation and you can listen to it silently without the other person knowing you’re on the line. Call Recording: You can even record the calls if you don’t have the time to listen and then revisit them later. Social Media Monitoring: It can spy on WhatsApp, Facebook, Instagram, Twitter, KiK, Tinder, Hangouts, Telegram, and most other social media apps as well. Rooting Necessary: You have to physically install the app into the target phone and you need to root it first. Undetectable Keylogger for Android: You have the option to hide the icon from the target phone and to remove any traces of rooting as well. Demo: You can also view a demo of the interface. FlexiSPY is the most expensive keylogger Android app in the market, and it’s available in Extreme and Premium Packages. The reason that Highster Mobile makes for such a great keylogger for Android is because of its simplicity and minimalism. Highster Mobile is a no-fuss, simple, easy-to-navigate keylogger Android app. In addition to that, it’s also the cheapest one in the market, and it doesn’t offer different packages, and it doesn’t offer monthly licenses. A single package, one time fees. Take it or leave it. Keylogging: It has a very rudimentary keylogger feature with which you can find out all the buttons pressed in a target’s phone. Social Media Monitoring: It can track messages on all social media apps such as Facebook, WhatsApp, Snapchat, etc. Rooting Necessary: If you want to use it as a keylogger, you’ll have to root the device first. Only then can you use keylogging on it and hack into social media. Invisible: It doesn’t leave a trace in the target phone. No Online Demo is available for Highster Mobile. However, it does offer a money back guarantee in case the keylogger Android app isn’t to your satisfaction. Check Highster Mobile review for more about it. It’s the cheapest keylogger Android app in the market. It costs only $69.99, and there are no monthly licensing fees. TheTruthSpy is a hidden keylogger Android app that can be used to track other devices discreetly. It is perfectly suited to be used with Android phones. It boasts a bunch of really advanced features, many of which are very powerful. However, this Android keylogger app is not at all reliable and comes with terrible reviews from clients and customers. As such, you should be wary of it. Keylogging: You can check out all the buttons being pressed in the Android phone and go through them in your control panel. Social Media Monitoring: Once you’ve acquired all the passwords, you can monitor WhatsApp, Snapchat, Viber, Skype, Facebook, and all other social media. Ambient Listening: Activate the microphone to listen to what is happening in the target phone’s surroundings. Call Recording: Record live conversations from the target phone as they happen. However, call tapping is illegal in a lot of countries and states, so be careful while using this feature. Rooting Necessary: If you want to use the advanced features listed above, you need to root the target phone. Invisible: After installing, you can press a button to hide the icon from the target phone. Android Keylogger App Free 48 Hours: You get a 2 days trial period with this keylogger, so you don’t have to commit to something blindly. No Demo is available for The Truth Spy. You can purchase one of three packages – Standard, Premium, or Gold – for a period of 1 month to 12 months. The price ranges from $16.99 for Standard 1 month to $149.99 for Gold 12 months. Mobile Spy is an Android keylogger app generally used to monitor children and employees. It can help detect all the secrets being kept within social media apps and accounts. In addition to keylogging, MobileSpy can also engage in a lot of other spy functions quite well. It can monitor text messages and calls, social media and mail. It can even set up profanity alerts for children or set up a geo-fencing range to be notified when the target moves outside of it. Keylogging: This feature will allow you to check out all the keystrokes of your children and employee’s Android As such, you can figure out all their passwords and details. Social Media Monitoring: Once you have the passwords, you can monitor all social media apps such as Facebook, Twitter, Snapchat, etc. As such, you can not only read all their conversations and activity, you can also pretend to be them. However, the latter option isn’t recommended. Rooting Necessary: To be used as a keylogger, you’ll have to root the target device. Completely Visible: Due to a recent change, MobileSpy is now a completely visible app. As such, you can only install it on your children or employee’s phones after their explicit approval. Demo: An online interface demo is available. It’s compatible with all Android phones. There are two packages – Basic, and Premium. Both of them are available for a period of 3 months, 6 months, or 12 months. Keylogging is available on both packages. XNSPY is a relatively new but still powerful Android keylogger tool. Because of how new it is in the industry it’s not very reliable. However, its future seems promising. It offers both online and offline tracking features and offers multiple packages for business and personal users. Keylogging: Like all other apps in this list, this too has a decent keylogger. Social Media Monitoring: XNSpy can track Facebook, iMessage, WhatsApp, Viber, Instagram, Kik, and Tinder. It’s not as wide as a lot of other keylogger Android apps in this list, but at least all the popular ones are included. Ambient Listening and Recording: You can activate the phone microphone so that you can listen to the surroundings and even record them if necessary. Rooting necessary: It’s essential to root the Android device to monitor it. Invisible: The icon can be hidden in the target phone so no one will find out. Demo: An online demo is available. There are two packages available – Basic, and Premium. You can get them for a monthly license, quarterly, or yearly. However, keylogging and all the advanced features are only available in the Premium Edition, which starts with $59.99 a month. Copy9 is a keylogger created so that it can track a victim’s phone and let you access all their private data and secrets. Once the app is activated in the target’s phone, all the information is sent from the victim’s phone to my.copy9.com. However, this has to be done through WiFi. You can also download a free keylogger for Android APK in which you can do the basic monitoring like Call logs, Message logs, GPS tracking, etc. Keylogging: It can capture all the keystrokes being made by the target phone. As such, you can determine all the messages and passwords necessary. Social Media Monitoring: You can track all instant messaging and social media apps such as Viber, Facebook, Messenger, Yahoo, etc. Ambient Listening and Recording: You can hear live audio around the target phone, if the phone has a good WiFi connection. Rooting not necessary: You can access keylogger history even without rooting the device. Invisible: The app icon can be hidden from the target phone. No demo is available for this app. There are three packages available – Standard, Premium, and Gold. The licenses available are for the periods of 1 month, 3 months, 6 months, and 12 months. Appmia is a new and powerful keylogger for Android that can be used to monitor any smartphone you want discreetly. Even though it’s a relatively new app, it has been sponsored by CNN, Yahoo, BBC, and Crunch Base. As such, its future seems promising, and it’s very reliable. Keylogging: The keylogger feature enables you to find out all the passwords and messages in the target phone. It gives you access to all the buttons being pressed on the smartphone. Social Media Tracking: You can view the messages in social media and instant messaging apps such as WhatsApp, Facebook, Skype, Viber, iMessage, and Messenger. Phone Hijack: With the control panel you can takeover controls of the phone completely. You can even block websites, contacts, calls, and applications. Rooting necessary: Rooting the target Android phone is necessary. Invisible: You can hide the icon and the evidence of rooting. Demo: A sleek and interactive online demo is available. Appmia offers a Basic, Premium, and a Lifetime package. The basic license can be purchased for 1 month, 6 months, or 12 months. The premium license can be purchased for 1 month, 3 months, 6 months, or 12 months. Lifetime package doesn’t have any licensing period, however, it can be used to monitor either 1 or 2 devices. In this whole article, I’ve given a detailed description of a lot of different keylogger for Android apps. You should, of course, opt for one of the top 3 Android keylogger apps as they are the most reasonably priced, reasonable, and reliable apps. However, you can also go through the others so that you’re sure about the keylogger Android app that you eventually purchase. Whatever you decide, do let me know about your decision down in the comments section, and if you have any questions then ask away! Last updated: March 14th 2018. PART 1: What is FlexiSPY? Are you looking for an extremely advanced and professional monitoring software? If yes, then you’re in the right page. FlexiSPY is definitely one of the most complex and advanced monitoring apps in the market with the greatest number of efficient features. It can intercept calls, text messages, and it can even listen in on the phone’s surroundings via Ambient recording. As such, this is undoubtedly one powerful spy app. Check 10 best phone spy apps here. However, just because it’s powerful doesn’t necessarily mean that it’s ideal for everyone. It may be perfect for an employer who wants to keep advanced tabs on their employees. It might even be perfect for an overprotective parent who wants to keep updated on their child’s life. I shall of course refrain from putting forth any personal opinions on the ethics of parental monitoring. However, if you’re someone who is just stepping into the world of cell phone monitoring, it’s best that you start first by dipping your toes in with a different spy app, such as mSpy or Highster Mobile. This is because FlexiSPY is every bit as complicated to use, as it is complex and advanced in its functionality. As such, if you’re a fresher, or if you’re a casual spy, then you’ll be greatly overwhelmed by FlexiSPY, because you’ll have to perform a jailbreak or a rooting on the target Android or iOS device to be able to monitor it. This requires you to have access to the target phone, and for you to know how to perform a jailbreak or rooting. But don’t worry, if you want to sectly spy others, you’d better check this post about how to spy on a cell phone without having it. But hey, if you’re willing to look past the complexity and the cost, then FlexiSPY will be the best for you! In this FlexiSPY review article, I shall explore, in detail, every aspect of FlexiSPY, comparing it to its competitors, so that you can make a well informed decision about which spy app you want to go ahead with. PART 2: FlexiSPY Features: What makes it powerful. As a spy app, FlexiSPY has all of the common features that any good spy app would have, such as call logging, text message tracking, browser history viewing, WhatsApp spying, etc. However, what really sets a piece of software apart is not all the ways in which it is like other apps, but what only that particular software can offer, and FlexiSPY has a bunch of truly unique and useful features in store. This feature is completely unique to FlexiSPY. Most spy apps only give you the ability to view the call logs. This means that you can just view caller history and see whom a person is talking to and for how long. You can’t see anything else. However, if you want to listen in on the conversations, if you want to find out exactly what they talk about, then you’ll need to intercept their calls. After all most people don’t convey really private and sensitive information over text messages. As such FlexiSPY is the best, and really the only way in which you can know what two people are talking about in private! For example, if your children are talking to someone who might be a bad influence for them, you can actually listen to their conversation! Information is power, and FlexiSPY is the most effective app to help you gain information. The Call Interception feature adds you as a silent listener to a phone call. Whenever the target phone receives a call you’ll receive a notification regarding it, and you can secretly listen to them conversing. However, for this to work you need to have very strong internet connection so that the line isn’t distorted. This also requires that the target phone should be able to hold conference calls. This is a really popular feature amongst employers and business users. If you don’t have the time to listen-in on a conversation at the moment, or if you want a conversation saved for posterity or for later use, then you will love this feature. You can record any call you want, you can even go to the settings to make the app record all the calls from a particular number or contact. FlexiSPY will save all the recorded calls to your control panel, where you can easily download the data. 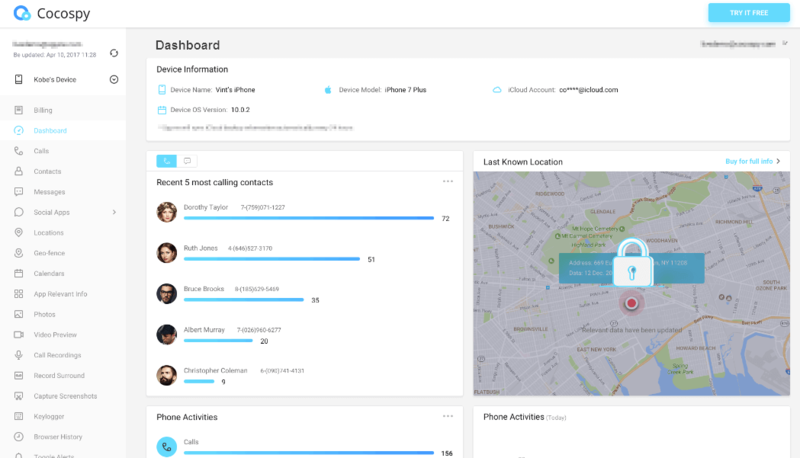 So, you can use this feature to record all of your employees’ calls and all your children’s calls, and when you have the time you can review them to find anything suspicious. This is the only app which offers this solution. However, you should be careful while using this feature because in a lot of states and countries call tapping is an illegal activity. This is a separate FlexiSPY feature that you can bought it as a separate software. However, if you have the FlexiSPY Extreme package, then you receive this free of cost. This is a more advanced method of Keylogging. Most advanced spy apps, such as mSpy, use a method called Keylogging to discover passwords. A keylogger basically takes note of all the buttons being pressed in a phone so that you can retrace them and find out the password for any social network site, and then access it yourself. So, you can use FlexiSPY to hack Instagram, Facebook and WhatsApp easily. However, the Password Cracker doesn’t just record the buttons being pressed, it can directly tell you all the passwords and PIN numbers being entered to any site from the device. This is a lot easier to manage and a lot more efficient. Password Cracker is only available to FlexiSPY users, it’s based on a new technology you can’t find anywhere else, so you should take advantage of that and stay ahead of the game! Check the demo here! Most spy apps, even the advanced ones, such as Highster or mSpy, have a little lag while updating GPS location to your control panel. This is because they check in on the device periodically. As such the update you get might be several seconds or several minutes behind. However, FlexiSPY offers you completely integrated real-time updates. You can know exactly where all your children are every second of the day. In fact, you can even access a route history so you know where your target has been throughout the day. You can even set up Geo-fencing so you get alerts whenever your targets leave a certain perimeter as defined by you. Yes, you can use the powerful FlexiSPY app to track a cell phone real-time location and history route. A lot of different apps offer you the chance to control a device remotely. However, it is limited. Most spy apps will only allow you to be a remote observer. However, with FlexiSPY you can basically hijack the phone and get up to any shenanigans you like! For example, if you’re worried about what your children are doing at the moment, you can activate the camera and take a discreet picture which will be sent to you directly. You can even restart the device, or you can activate the microphone, and listen into the surroundings of the target phone. These features are all extremely advanced and not available in other apps. This makes it well worth the additional expenses. Now that you know about all the unique features that FlexiSPY has to offer, you will naturally be wondering how much it would cost, and whether it would be available in an advanced package or even a cheaper one, and so on. Well, FlexiSPY offers two primary packages – Premium, and Extreme. While both versions are great in their own rights and have smooth functionality, the Extreme version naturally comes with a lot more features. In the table given below we shall compare all the different features of the two packages. You should note that the compatibility in some spy apps like mSpy are far more extensive. So if your device isn’t listed here, don’t be disheartened, there are still plenty of other spy apps you could use. Part 5: How does FlexiSPY work? How to install FlexiSPY? Depending on how you want to use it and the features you want to access, FlexiSPY can be both a very easy and a very complicated software to use and install. This is because FlexiSPY requires you to perform a complicated jailbreak or rooting for your iPhone or Android to be able to monitor it. This shouldn’t be a problem for those who are pros, however it might prove to be an annoyance for those who aren’t too tech savvy. Apps like mSpy offer you a solution to spy on target iPhones without jailbreak as well, though with limited features. However, in FlexiSPY jailbreak is an absolute must. Without jailbreaking an iPhone you cannot install the app in it and thus you can’t spy on it. If you want to install the FlexiSPY app into an Android you’re more in luck, because then you can directly install it into the device without having to do anything else. This makes it really quite simple and straightforward, but then you can only access a few limited features. To get unlimited access to features you will need to perform Rooting, which is a similar function as Jailbreak, and suffers from some of the same drawbacks. However, Rooting an Android phone will greatly help with invisibility as you can hide the FlexiSPY logo in the background. However, you should know that Jailbreaking and Rooting aren’t all that complicated. You can find plenty of online tutorials to guide you through the process. In fact, even the setup process in FlexiSPY is very helpful. They take you through the setup while explaining everything along the way so that you never feel lost. Furthermore, they also have a very strong support team that is always there to help you out, and the FlexiSPY website also has a lot of helpful tutorials, articles, and videos that can walk you through the whole process if you get stuck. Buy the license: You can purchase either a Premium or an Extreme license for a period of 1 month, 3 months, or 12 months, as mentioned earlier. Activate the app: Now you need to jailbreak/root the iOS/Android device in order to install the app into the target phone. Now you have activated the app. Data is taken: All the data from the target phone, based on your license package, gets captured by the app. Transfer of information: FlexiSPY will transfer the data from the target phone to your control panel. Monitor target phone: Now you can simply log into your account whenever you want and monitor the target phone. Part 6: Is FlexiSPY a Reliable Company? However, if your teenage kid found out you were spying on them, your relationship with them might be severely damaged. Similarly, as an Employer you are allowed to keep tabs on your employees, but if they found out, it would likely create a hostile work environment. As such, when you’re spying on someone you should only use a software made by a company that is 100% reliable. FlexiSPY, I am happy to say, is completely reliable. First off, it has a 4.9 out of 5 star rating, which is great. It comes with some truly great Testimonials from people around the world, who rave about how stealthy and discreet FlexiSPY is. As far as payment is concerned, they accept payment from all the major sources such as Visa, MasterCard, Maestro, PayPal, etc, so you’ll be making payment from a trusted gateway. Part 7: How is the FlexiSPY Customer Support? Not everyone who use spy apps are tech savvy. In fact, many people who uses spy app is concerned parents and as such they might not be very great with technology. As such it is vital for spy apps to have a good support system to guide the users through. However, many great spy apps neglect their technical support team which leads to a terrible user experience. In this regard, FlexiSPY is actually extremely user-friendly. They have a very friendly and knowledgeable support team that you can contact 24/6. You can reach them either via live chat or through email. Often times, their support team even guides you through the complete process of installation and usage. You can even pay a nominal fee for an additional Installation service that will take care of the installation, jailbreaking, rooting, and anything necessary for the smooth functioning of your app. Another great concern that people often have is in regards to whether they get stuck with a particular license. In the case of FlexiSPY, you can easily transfer your license. For example, if you bought a license for an iPhone, you can transfer it to Android. And a support team will be with you every step of the way so you can transfer the license without any issues. You also get a no-questions-asked refund within 10 days of purchase. So you can purchase the app, and then use it for a trial period. If you’re not happy with it, you can claim a refund within 10 days. Help parents to monitor children below the age of 18. Monitor employees via company provided cellphones. Install it into your own phone incase it is lost. For every license purchased you can only monitor one device. However, you can deactivate and transfer the license to another device as many times as you need. Is FlexiSPY discreet and hidden? It is entirely up to you whether you want to hide the FlexiSPY icon after installation. During the installation of the app you will be asked whether you want to keep the icon visible. So you can select Yes and No as you wish. You can even hide the Cydia icon which indicates that the iPhone has been jailbroken. As a powerful Android tracking app, for Android phones, you can go to Application Manager and hide the SuperUser icon. Is FlexiSPY a legal software? FlexiSPY is a perfectly legal software if you install it into your own phone, into the phone of a minor that you’re the guardian for, into a company phone, or into any other adult’s phone after seeking their permission. How long is the data stored in the servers? FlexiSPY will transferred off the data after every 90 days. However, you can download any necessary data onto your own computer off the control panel whenever you want. Part 9: Why should I use FlexiSPY? As mentioned earlier as well, FlexiSPY is a unique and top-of-the-line spy app. It comes with various unique features that no other spy app has, such as the ability to listen to phone calls live, or record phone calls. It even offers Password Cracker with the Extreme package, which is a far more efficient means of doing what Keylogger does. Most spy apps right now only use Keylogger. However FlexiSPY has already graduated to a function which easily cracks all passwords and PINs for you. However, FlexiSPY is not without its drawbacks. For one thing, you need to jailbreak or root the iPhone or Android phone. That is a bummer because it’s a difficult thing for most people to pull off. And most importantly, it puts the device at risk. It is also far more expensive than the other apps in the market. And some of its impressive features are only available to you in the Extreme package, which is extremely expensive. So you should buy FlexiSPY if you have lots of money lying around, and if you really want to use features such as Call Interception, and if you want to be able to track movements in real time. The bottom line is, FlexiSPY truly is the ideal option for professionals and those who take monitoring seriously. Especially if you have the ability to spend considerably more money on it than other apps. But the others best check out some other spy apps like mSpy, or Highster. Trust me, I’ve tried them all, and even without the ability to listen-in on live calls. You can pretty much find out whatever you need from social media and texts alone. However, that is just my opinion. I’d like you to check them out on your own and let me know what you think about them. Did you find this FlexiSPY review useful? Share your thoughts down below in the comments section! Are you looking for cool spy app that lets you keep track of employees, children, or spouse? If so, then you’ve come to the right place. I had similar needs a while back, I obviously won’t disclose why exactly I needed to monitor someone, but my search brought me to several spy apps. On the outset they all seemed similar, they seemed to have similar features and could do similar things. However, some of the spy apps I bought didn’t work out for me, while others did. This is because different spy apps only look deceptively similar, but they have major differences that an untrained eye cannot spot. So I embarked upon a mission to reveal the details and differences of all the spy apps out there. I hope this can help you make an informed decision based on exactly what you need. Most of the review articles, Highster Mobile review included, you’ll find online are based on product placement type contracts, and the authors of those articles most likely haven’t even used most of the apps. Because I’m an individual blogger, I’m proud to say that I’ve personally tried these apps. And I’m here to tell you everything about them, the good and the bad. In this particular Highster Mobile review article, I shall give you a comprehensive and insightful review about Highster Mobile. It is quite a popular spy app out there, one of the top three, along with mSpy, and FlexiSPY. PART 1: What is Highster Mobile? We’ve already established that Highster Mobile is a cell phone spy app, right? So I’ll skip past the explanation of what exactly is a spy app and what it can do. Highster Mobile is one of the top spy apps mostly because of how reliable it is, and how convenient it is to use. However, the biggest, and perhaps the only draw that Highster Mobile has is the fact that it is insanely CHEAP! I’ve created a table comparing the price of Highster Mobile to those of its competitors in Part 6. So if you don’t want to read this complete article, just scroll down and go through the comparison. You’ll find that Highster Mobile is far cheaper than FlexiSPY or mSpy. mSpy (mSpy reviews) and FlexiSPY (FlexiSPY review) are considered to be the elite spy apps with a great set of features and different price packages. As opposed to that, Highster Mobile is quite a basic spy app, and I mean that in the best way possible. Often, while using mSpy and FlexiSPY users complain that they find it hard to install, or use. Of course, those apps come with strong customer support, so all issues can be taken care of. Highster Mobile is extremely simple to use and install. And it has a complete no-jailbreak option which means that the installation becomes significantly easier than FlexiSPY, in which jailbreak is a must. Furthermore, when I said Highster Mobile is “basic” earlier, that doesn’t mean it doesn’t have all the necessary features either. It comes with all the features you need to monitor someone’s cell phone. It’s just that some of its competitors come with unique advanced features, for advanced spying, and Highster Mobile is a bit lacking in that department. However, all in all, Highster Mobile is a perfectly reliable and functional mobile spy app that you can use very easily, and it’s compatible with all the Android and iOS devices, and is far cheaper than all other alternatives out there. Below we’ll discuss all the different aspects of Highster Mobile in more details, the good and the bad. PART 2: What Features does Highster Mobile offer? Our phones are basically the gatekeepers of all our information, secrets, and desires. As such, the surest means of being privy to every detail of a person’s life is to hack into their cell phone. This proves very helpful for parents who want to make sure that their kids are safe. These apps are equally useful for employers who want to find out whether their employees are truly trustworthy. People use it for a variety of different purposes. For example, you can install it into your own phone so that you still have control even if it gets stolen, or you can even use it as a couple tracker to catch a cheater. However, you should be careful while using it. Its features are advanced enough so that it can become a dangerous weapon at the hands of a stalker. To perform any of the functions mentioned earlier, you need a certain set of features. You need to have variety with those features to be able to spy into someone’s phone records, social media, texts, etc. Highster Mobile, as we mentioned earlier, doesn’t have a lot of ‘special’ features like FlexiSPY and mSpy. For example, it doesn’t have the ability to intercept calls as they’re happening, or record calls for future use. However, it comes with all the basic features you need to spy on children, employees, or even spouses. Text message logging: With Highster Mobile you can easily gain access to all of the target phone’s text messages, either sent, received, or deleted. Call logging: You can view all the details of both incoming and outgoing calls. You find out the contacts, date and time, and duration of the call as well. Access to Control Panel: You get access to a very easy control panel with which you can remotely control the functions of the target phone. GPS tracking: You can track the location of the phone using GPS and you can even view the route history. Remote control camera: You can control the camera of the phone to remotely take pictures of the surroundings which you receive directly. View to Browser History: It can help you go through the entire internet history of the target phone. Access to Gallery: With this feature, you gain complete access to the phone’s photo and video galleries. Read Emails: It will be easy to monitor and read all the emails coming to and going out of the email apps. Access to Contacts, Calendars, and Events: You can access to the phone’s contacts, and all the events saved in the calendar so you know what a person has planned and for when. Monitor all Social Media and Instant Messaging apps: Access to view the activities on Facebook, Instagram, Twitter, Skype, WhatsApp, and other similar platforms. Check how to monitor WhatsApp messages here. Remote Uninstall: If you want to quickly get rid of the app in the device, you can remote uninstall it from your control panel. These are all the most important features of Highster Mobile. If you want to find out about the rest of the features you can do so at the Highster Mobile webpage. PART 3: Which devices is Highster Mobile compatible with? Highster Mobile is a highly compatible app, and according to their own declaration they “work with all cell phone providers in all countries”, and are “compatible with all Android, iPhone’s & iPad’s.” That’s quite a tall order to fill, and its competitors mSpy and FlexiSPY can’t boast a similar degree of compatibility. However, let’s examine their claim further, shall we? Android: OS 2.1 and up, with rooting only necessary in order to monitor instant messaging services such as Facebook Messenger, and WhatsApp. Check out the 10 best Facebook Messenger spy apps here. iOS without Jailbreak: All iPhone models and iOS versions are compatible, and you don’t need access to the iPhone directly, you just need the iCloud details. iOS with Jailbreak: Compatible with iOS 6 to iOS 8.1.4. You need physical access to the phone to jailbreak it and to install the app into it. So as you can see, Highster Mobile truly does live up to its claims. It is compatible with all Android phone and iOS devices, however with conditions applied, as mentioned above. PART 4: How does Highster Mobile work? Highster Mobile, after being installed in the target phone, gathers all the necessary information. If the target phone has a proper internet connection, all of that information is transmitted securely to your account. When you log into your control panel using your phone, tablet, to computer, you’ll receive all the information stored in the target phone and you’ll be able to monitor it remotely. First, you need to purchase the app and download it onto your computer. You’ll also receive very direct and simple instructions about how to install the app onto the target phone. You can follow the given instructions closely, and install the app into the target phone when you get some time with it. In case you’re not being able to figure out how to install it, then you can contact the customer support and they’ll walk you through the whole process. You don’t need to worry about detection because the app will be completely buried in the background such that the user will never be able to find it. Now you can simply access your own control panel with any of your devices. Now you can simply track, monitor, and download all the information from the target phone that you need. PART 5: How to Install Highster Mobile? Step 1: Go to the Highster Mobile webpage in your cell phone browser. Make the purchase, and download the app. Install it into the target phone. Step 2: Now you’ll have to access the app. You’ll be asked to provide your license key, which you receive upon purchasing the app. You’ll also be asked to enter a mobile number. Enter your own phone number so you can receive text message updates. Step 3: You’ll receive a pop-up message stating that the registration has been a success. Simply tap ‘Ok’ and you will finish all the process! After this entire process is done, you’ll be able to log in and access the control panel from any device at all. PART 6: The Biggest Draw? Highster Mobile is insanely CHEAP! This is one of the greatest things about Highster Mobile. Now with most spy apps you can only purchase a license for a period of 1 month to 12 months. After that you have to renew the license. Furthermore, you get several packages, and all the features are only available in the top end packages, which can cost you several hundred dollars on a yearly basis. Highster Mobile, as opposed to that, is available for $69.99. This is strictly a one-time fee, with no additional monthly fees, and no additional fees for additional features. This is it – $69.99. As such, Highster Mobile is definitely the right purchase if you want a lifetime license, or if you don’t want to splurge on a spy app. Below you can view the table in which I compare the cost of Highster Mobile to the cost of its competitors mSpy and FlexiSPY. You’ll find that Highster is most definitely the cheapest and longest lasting option out there. PART 7: Is Highster Mobile a Reliable Company? Reliability and Trustworthiness are two of the most important characteristics when it comes to a spy app company. You want to make sure that all your private details and information will be in safe hands. As such, I can guarantee that Highster Mobile is highly competent and trustworthy. Highster Mobile has been downloaded over 500,000 times. And they have over 300,000 customers across over a 100 countries around the world. As such their reputation really does precede them. They also offer a very competent customer service which really helps matters. PART 8: What is the quality of Highster Mobile’s Customer Service? Highster Mobile makes itself completely available to its customers. If you go to their webpage, you’ll have complete access to a 24/7 chat service. Furthermore, you can also contact them by email at info@highstermobi.com, or you can call them directly at the number 866-611-9506. Actually, I understand that a lot of websites give the contact details but aren’t very responsive. That is why I personally tested them out. Last time, I first sent them a fake query with email, and I received a response from them within minutes! I could even place a call successfully and talk to the representatives who were very kind and helpful with my fake problem. They have even provided a Google map location. So it will guide you go to their office easily。 This degree of transparency really helps paint them in a good light. In order to monitor Social Media and Instant Messaging accounts in Android, you’ll need to root the Android device. 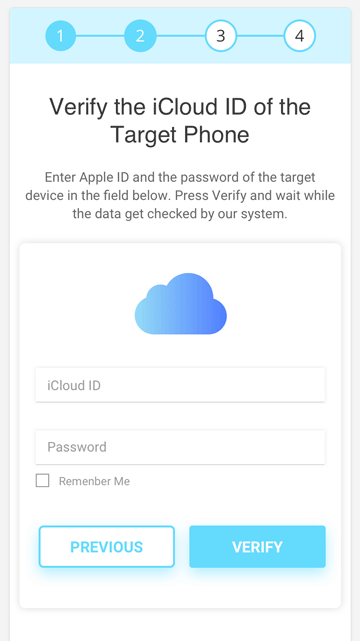 If you have the target’s Apple ID and Password, you can monitor them without jailbreaking their iPhone, and without even physically accessing it. However, in lieu of that, you’ll have to jailbreak the iPhone and install it into the device manually. The manual installation should take about 2 minutes. If you want to monitor more than one phone at the same time, you’ll have to purchase more licenses as well. The app needs to be installed into the target phone, not your own phone. Unless your own phone is also the target phone. While installing the app you need to input your own phone number, so that you can receive text notifications with updates. You can uninstall it remotely, and you do not need to be anywhere near the device. You just need to ensure that you and the target phone both have a stable internet connection. PART 10: Why should I use Highster Mobile? As mentioned earlier, Highster Mobile is a basic and simple yet effective means of tracking someone’s phone without them knowing. This is a helpful tool for employers, parents, and even spouses to keep a track of their employees, children, or spouses, respectively. It can also be used as a safety precaution in your own phone. For example, you can install it into your phone so that if it ever gets lost, you can still retain control of it and you can either find it, or take pictures of the surrounding, or delete all data, or do anything you want. Highster Mobile is the ideal app for those who don’t have extremely advanced spy needs. It also suites for those who aren’t too tech savvy and need something simple. And it is also good for those who want to purchase the license once, and never have to renew it again. As you can probably recall from the table given in Part 6, Highster Mobile is several times cheaper than all its alternatives, and it’s a Lifetime purchase. So if you don’t have very advanced spy app needs, then go ahead and buy this. So based on this Highster Mobile review, you might have already made up your mind about whether you like it or not. It surely has a lot of positive features, it’s reliable, can be installed easily, doesn’t require jailbreak, is compatible with almost all devices, and best of all it offers a one-time subscription for a very cheap price. Furthermore, it also has all the necessary features for spying. This makes it an ideal package for those who aren’t looking for something too advanced. However, its greatest feature can also be considered its greatest weakness by some. If you want to intercept calls, or record them and then download them into your computer, or do other similarly cool things, then you’re out of luck. Highster Mobile doesn’t offer such features. For that you should check out other apps like mSpy and FlexiSPY. Whatever you decide, do let us know whether my Highster Mobile review helped you. And let us know if you have any other questions about Highster Mobile, or other spy apps, and we’d love to help you out! Also, feel free to leave a comment down below with any review requests you might have. Copyright © 2017 Best Mobile Spy - All Rights Reserved.